They are everywhere in Asheville. You can find them hidden at the vivid murals in downtown, in the green grass at the city’s public parks, and even on the boutique-lined streets of Biltmore Village. Pokémon join street performers, artists, and chefs as the newest characters making their mark here in the mountains. If you’re enjoying the augmented reality of Pokémon Go, try the true reality of playing the game in Asheville. We have some of the coolest PokéStops around including those at the larger-than-life Biltmore Estate and in the colorful River Arts District. 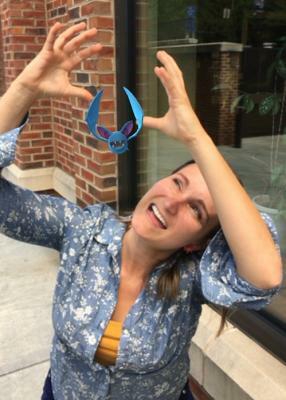 Whether you’re on team Instinct, Mystic, or Valor, we’ve got some tips for helping you navigate Asheville as you track down the rarest Pokémon. The bounty of historic spots, churches, and landmarks make downtown Asheville the best place locally to go for the most Pokémon, PokéStops and Gyms in one area. 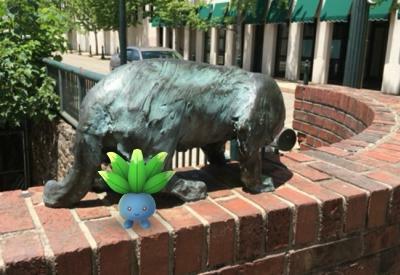 Nearly every one of the 30 stops on the Asheville Urban Trail, a walking tour of the city’s history and art, is also a PokéStop. Gather all kinds of supplies, including Pokéballs and eggs, on the 1.7-mile route that takes you by delicious restaurants and quirky local shops. The "Cat Walk" marker stop on Wall Street even doubles as a Gym. Many players say they’ve even found some rare Pokémon like Dragonair, on this stroll through the city. 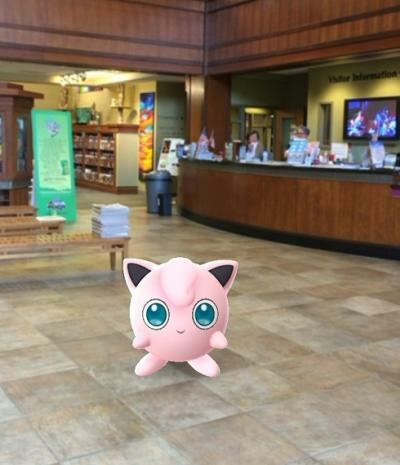 Begin your downtown adventure at the Asheville Visitor Center, which has two PokéStops of its own right out front. Flying Pokémon such as Zubats and Pidgeys are common here. 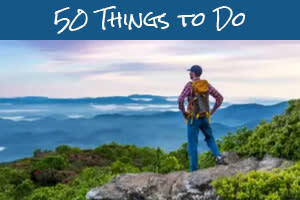 Then come inside to pick up a paper map and other info to enhance your trek around town. After all, if you want a wide assortment of Pokémon to add to your collection, you’ll have to try some different kinds of habitats. The nation’s largest privately-owned home, Biltmore Estate has gardens, waterways, and history-laden landmarks that make great places to explore for different creatures. (But please do respect the phone-free policy inside Biltmore House.) 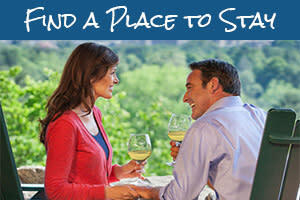 The River Arts District similarly boasts a wide array of habitats helping you to diversify your collection. Well-established walkways with big shade trees and lighter traffic make historic Biltmore Village a leisurely place to make a great catch. A player from the Asheville Pokémon Go Facebook group says she scored 81 Pokéballs in Biltmore Village where she found at least a dozen PokéStops and a few gyms. 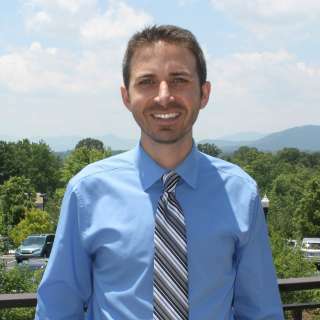 Other favorites among local players are Asheville’s public parks. Carrier Park in West Asheville is already known as a great virtual playground. A Reddit user recommends Weaver Park in north Asheville because of the eight PokéStops nearby. College campus spots, such as the Botanical Gardens at UNC-Asheville combine a relaxing natural environment where you can make big gains in your quest. Part of the allure of the game is the opportunity to connect with other players. Asheville is known for its welcoming spirit and the Pokémon Go experience is no different. Downtown is the most social place for Pokémon Go fans. It’s where you’ll find the most lures, a tool players use to gather together and make friends. Reddit users say a recent Lure near the Vance Monument attracted 30 players within minutes. Players have also set up Meetup groups (two are scheduled for this weekend to link up and talk strategy). And in Beer City USA, it’s no wonder there are also multiple Pokémon Go Pub Crawls organized for the next couple weekends, helping players score brews and maybe even a Taurus. In the bustling downtown area and on the well-traveled roads in the surrounding area, there is a lot to see – meaning a lot of distractions for visitors. Be sure to be aware of your surroundings, and be respectful of local businesses, fellow pedestrians and local law enforcement. Park rangers with the Blue Ridge Parkway are also encouraging players to head up to the overlooks to find Pokémon, but they ask that you don’t use the app while driving and that you do obey signs designating areas as closed to the public.